Molded using durable copolymer plastic. 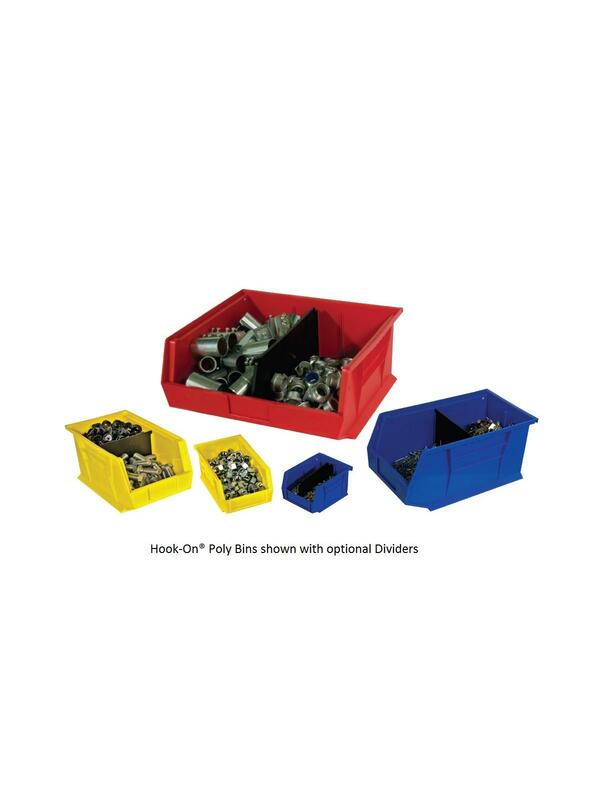 Back tabs allow Hook-On® Bins to hang on louvered panels. Specially molded top edges allow stacking on any shelf. Angled front edge makes it easy to see contents and to pick parts. Additional ribbing and double wall front is incorporated in the design for increased rigidity and to prevent warping. Slots in front hold identification tags, cards, or labels. Molded finger grips make handling easy and comfortable. Fits neatly on the other cabinet and shelving brands. 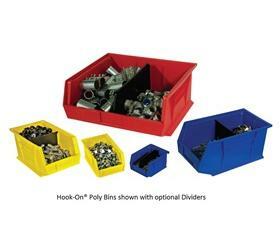 See Related Items tab for Louvered Panel Racks and Dividers for Hook-On® Poly Bins. 4 x 7 x 3"4 7 3"